Posted 23rd March 2017 by Abbie Steele & filed under Uncategorized. It has taken me a while to decide on which film/TV programme or series/show I would like to share with you and recommend for you to watch this month. I suppose I should start by first of all saying that I have been reflecting on my life a lot this past year and I have discovered a lot of things, some of which I would like to share with you today. Not because I want to make myself feel or look good, but because I want to establish a dynamic where we can unashamedly be ourselves without the fear of judgement, ridicule or other people’s opinions stopping us from doing so. I want to help people experience the beauty of life, to see and explore different ideas and ways of thinking and being. I have gone through a lot of processes and I so desperately wanted to deliver my monthly recommended watch at the start of the month for anyone who does follow and look forward to reading my posts, but as with everything I write about, I don’t want to share something for the sake of ticking it off my ‘to do’ list, and let’s be honest here, I have been watching some pretty amazing films and TV shows this month!! But, I want to share something that has affected me in a deeper way. 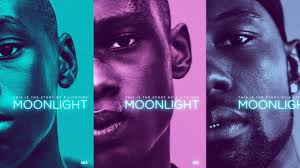 I have chosen to talk today and recommend as my watch of the month to be Barry Jenkins’ award winning film Moonlight. Moonlight has struck a chord with me, it has really hit a nerve. As i’m sat here now trying to channel my thoughts into visible words, I have a lot of ideas and topics going around in my head. I want to influence and connect with people and if I can use my own life and experiences to help someone else, then that’s all I can ever ask for. I am now only five days away from my last session with my counsellor who I have been seeing for a year to help me cope with some events that have haunted and controlled my life for years. If you had asked me to even talk about this, let alone write about it a few months ago, I would have bolted a hundred miles in the opposite direction and not even considered it a possibility!! But, as I sit here now, it feels 100% right for me to do so. To those of you who know me personally, and by that I mean really know me, the real me with all my flaws and ugliness as well as kindness and strengths, you know the struggles I have been through. To those of you who don’t know me yet, I want to share some of the things in my life that I am finally ready to openly explore. From my earliest school day memories a very clear journey and chain of events occurred. I was a very happy, confident, care free girl, very lucky to have a family and a place to call home and extremely lucky to have a lot of love in my life and for life, but somewhere along the way I got lost and by lost I mean completely out to sea. A group of girls with one prominent leader took a disliking to me and for the entirety of my school days, dedicated themselves to making my life as miserable as possible, causing me and my family a huge amount of anguish. The outcome of which caused me to believe that I didn’t belong anywhere and didn’t deserve to be ‘me’. I want to reflect on this now and say that i’m not writing this as a form of self-pity, I am writing about this because today is the first day in nearly twenty years that a glimmer of that first ‘me’, the truly happy, confident, positive, open and bubbly girl who knows who she is and isn’t afraid to be herself has appeared again. To sit and watch a film like Moonlight, which tells a story I believe everyone can relate to in some way, is refreshing because it gives so much hope for the future, not only in film making – the things we can talk about and suggest, but in inspiring us to not be afraid of who we really are. It triggers thoughts, feelings, judgements in us all. One thing I have discovered, not only about myself, but about us all is that we are at different times three different types of people; partakers, observers and ignorers. We can be all three at once in good and bad situations. What Moonlight delivers and what I want to deliver is that it is not the things outside of ourselves, the things we have no control over that matter. It is who we are within and how we show respect and love for ourselves by being that person that counts. No one should ever have to feel they can’t truly be who they are for fear of judgement, ridicule or humiliation, simply because one or a few different people will not like it. Moonlight represents hope and strength. A boy’s difficult transition into adulthood, a boy who is knowing of and being who he really is, despite the anguish and struggles inflicted upon him by others. If I can believe that at least one person has read this post, whether it be today, tomorrow or in ten years time, my life will have fulfilment because it has a deeper meaning. To know that at least one person has listened, to know I have affected someone in a meaningful way as Barry Jenkins’ has done in his extraordinary film, in a way which is heartfelt, brings me so much happiness and so much sense of meaning. If nothing else, I want you to go away with at least one thing from this post. I want you to ask yourself how often you think someone is listening to you? How often do you listen to yourself and your own needs? How often do you truly listen to other people?